The International Cooperative Alliance is encouraging its members to use the hashtag #CoopsDay to spread the word. “We represent 1.2 billion cooperative members. There is no other economic, social and political movement in the world that in less than 200 years has probably grown as much as we have. But growth is not the most important thing. We consume, produce and use the resources that the planet gives us but in solidarity with the environment and with our communities. That is why we are a key partner for the United Nations Sustainable Development Goals,” says the President of the International Cooperative Alliance, Ariel Guarco. Sustainable societies are ones that reflect the environmental, social and economic limits to growth. While a recent report by PwC showed that two in five firms are still either ignoring or having no meaningful engagement with SDGs, cooperatives are leading the way. Cooperatives have a unique contribution to make to delivering all the Sustainable Development Goals and their associated targets. 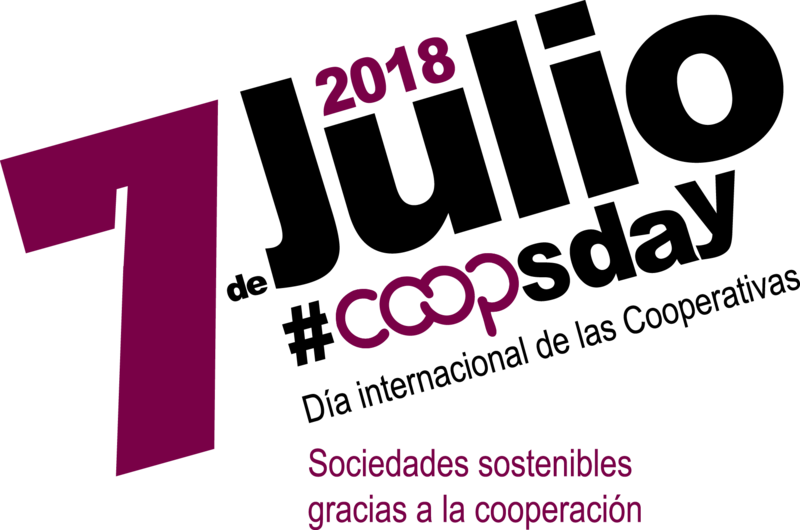 In 2016, the International Cooperative Alliance launched the campaign www.Coopsfor2030.coop to show cooperatives’ commitment to the UN’s Sustainable Development Goals and celebrate the cooperative contribution to making the world a better place. Cooperatives have experience in building sustainable and resilient societies. For example, many agricultural cooperatives work to maintain the longevity of the land where they grow crops through sustainable farming practices. Consumer cooperatives increasingly support sustainable sourcing for their products and educate consumers about responsible consumption. Housing cooperatives help ensure safe and affordable dwellings. Cooperative banks contribute to stability thanks to their proximity to their clients and provide access to finance at local level and are widespread even in remote areas. Utility cooperatives are engaged in rural access to energy and water, and many of them are engaged in leading the energy transition to energy democracy. 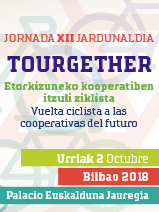 Worker cooperatives and social cooperatives across diverse sectors (health, communications, tourism, etc) aim to provide goods and services in an efficient way, while creating long-term, sustainable jobs – and they increasingly do it in a planet-friendly way. “On the International Day of Cooperatives, we are going to show the world that it is possible to grow with democracy, equity and social justice. That our societies cannot continue wasting resources and excluding people. That we must improve the present and preserve the future for the next generations. And that we are proud to be part of this movement. A movement with values and principles. A movement committed to social justice and environmental sustainability,” says Mr Guarco. H ow can you celebrate #CoopsDay? We’ll use this information to create a global map of the events that will take place on this special day. “Sustainable societies through cooperation”, the 2018 slogan and the theme “sustainable consumption of goods and services” reflects the United Nations Sustainable Development Goal number 12 which is ‘Responsible Consumption and Production’. 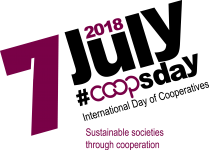 SDG 12 is being reviewed by the 2018 High-level Political Forum for Sustainable Development (HLPF): "Transformation towards sustainable and resilient societies", and cooperatives have much to contribute to delivering this target. In July, a high-level event will be organised by COPAC in New York to show how cooperatives build sustainable and resilient societies. During the HLPF in July, UN Member States will review progress towards achieving the following Sustainable Development Goals: 6 (clean water and sanitation), 7 (clean and affordable energy), 11 (sustainable cities and communities), 12 (responsible consumption and production) and 15 (life on land).